Are you addicted to traveling? Do you suffer from wanderlust? Are you always trying to fit a trip into an already busy lifestyle? 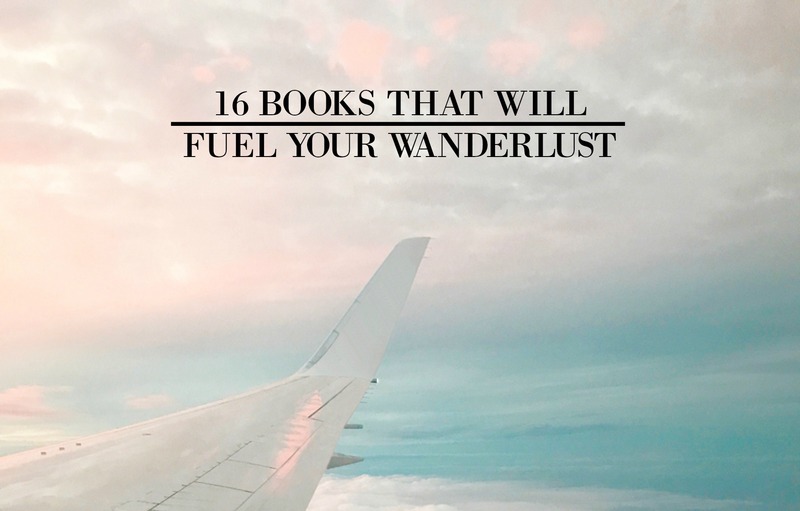 If yes, then here are a few books that can feed your wanderlust, inspire you, and have you excited for your next adventure! Peter Mayle in this memoir describes the first 12 months with his wife in a newly acquired 200 year old farm house in Provence, a town in southern France, in witty and funny detail. You can check out the book here ! Written by Christopher McDougall, describes the journey of a dedicated athlete’s experiences in Mexico with a renowned indigenous Mexican tribe called the Tarahumara rumored to be proficient in the art of running. You can get the book here . Elizabeth Gilbert’s account tells of a divorced woman on the path of self-rediscovery and happiness on a trip to the countries of Italy, Bali, and India. Check out the book here ! Matt Kepnes (the blogger at Nomadic Matt) gives an insight on how to travel cheaper, longer, and smarter. If you’ve been wanting to travel for longer than just a weekend (or even a week), and you’re curious about how to do it, then definitely check this out! Jon takes us into the mind of a young man searching for peace in the heart of the Alaskan wilderness. If you’re someone that loves adventure and amazing stories like this one, then it’s definitely for you! You can get this book here . John Krakauer, a mountain climber, narrates his bodacious and perilous experience ascending and descending Mount Everest. This book is definitely for people who love hearing extreme adventure stories! You can check out Into Thin Air here ! National Geographic account contains a detailed, colorful, and beautiful collection of advice collated by various travel writers for fellow travelers. You can get the book here ! Dianne Johnson’s book narrates the tale of a wealthy American girl seeking romance and sophistication journeying to France. A great book for people who romanticise this beautiful country. You can get and read the book here ! Written by Jack Kerouac, it is a colorful account of his travel experiences across the United States with his friends. Definitely a fun read! You can check out On the Road here ! Heinrich Harrer narrates the journey of an Austrian mountaineer across India to the Himalayas and finds serenity in an isolated settlement. You can check out and read this book here ! Tim Ferris gives a guide to improving productivity and cutting out the unnecessary so you can do more with your life and travel more. Definitely check it out ! Written by Eric Weiner, this book highlights with hilarity an unhappy author’s account of geopolitics science and travel from America to Italy to Iceland to India. The Geography of Bliss leaves you with secrets to the happiest places on Earth. You can take a look at the book here ! Three young women take an exciting journey to tour four amazing continents of the world. It really is a fun read when you see the crazy experiences they’ve had! You can check out the book here . John Steinbeck gives an account of a 1960 road trip across the States with his dog, Charley. You definitely want to read this one! Check the book here ! Rolf Potts gives a guide to traveling right and helpful tips to maximizing your travel experience while on the road long term. The next time you get excited for an adventure, but don’t have the time just yet, definitely pick up a few of these books and get reading!